Stephen Bromhead is a strong local advocate and has lived and worked in the Myall Lakes area throughout the majority of his career. After starting out working as a nurse, Stephen turned to law & order and worked with the NSW Police Force for twelve years. During this time he spent ten years in Taree. Stephen then studied to become a solicitor and barrister. In 1992 Stephen joined Walker Smith Solicitors and became a partner in 1993. In 2007 Stephen started the Forster-based Bromhead Legal. He was elected to Parliament in 2011 as Member for Myall Lakes on the retirement of John Turner, who had held the seat for The Nationals since 1988. Stephen is the Nationals Whip, Member of the Public Accounts Committee, Member of the Standing Orders and Procedure Committee, Member of the Committee on the Ombudsman, the Law Enforcement Conduct Commission and the Crime Commission, President of the NSW Parliamentary Lions Club and Chairman of the Parliamentary Friends of Rugby Union group. 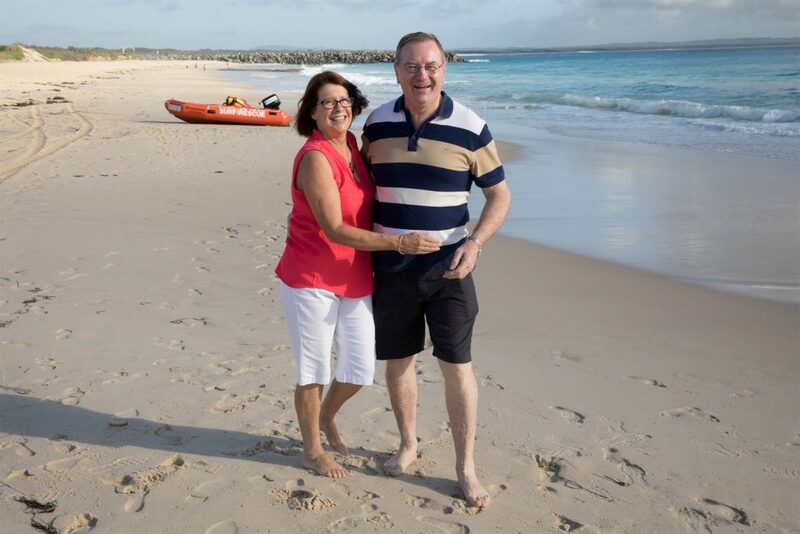 As a former Greater Taree City Councillor, Chairman of the Tourism Board and President of the Forster Chamber of Commerce, Stephen’s desire to help the community has not been impeded by his busy careers. He believes his first hand experience working in hospitals, on the front line, representing the people of Myall Lakes in court and at a local government level have given him a firm grasp on the real issues that the people of the Myall Lakes electorate face each day. Stephen is the founder of the Manning/Great Lakes Traffic Offenders Program. This program aims to not only educate drivers referred to it from Court, but also to change their behaviour. Since the introduction of the course there has been a marked reduction in driver recidivism. Club Rugby plays a part of Stephen’s life. He started the Forster Tuncurry Rugby Club, having previously been President of the Old Bar Club, Vice-President of the Manning River Rugby Club and President of the Mid-North Coast Rugby Union. In addition, Stephen was a founding member of the Wallambah Rugby Club, Forster-Tuncurry Rugby Club, Manning River Rugby Club and the Old Bar Beach Rugby Club. One of Stephen’s proudest achievements has been changing the Forster Tuncurry Rugby Club’s culture to focus on families. He is a life member of the Forster-Tuncurry Rugby Club. As an active member of The Nationals for over 30 years, Stephen has held various roles of responsibility within the party including serving on Central Council. Stephen previously owned a property outside Taree and bred beef cattle, but now he and his wife Sue have moved to Forster. Together they have seven adult children all pursuing their own careers.